Hey Denis, thanks for the Video, have you consider making some money from Digital Tutors? If i get to a point i will think about syndicating with Digital Tutors, but i might take the solo road as well. Main reason why i would prefer the solo flight would be that in that case i won't have the limitation that a DT video will impose like script and time limitation. In any case cheers for thinking that i would be a good DT tutor. +Denis Keman Your pronunciation is much better and your English is much easy to understand compared to most Digital Tutors instructors who have very heavy accents. Is there a reason you're using Max '14 ? Or have you recorded this a while ago . +Marcus Immerkær Keil Nope this was recorded a week ago. As for me using 2014 it's simply because it does everything i need it to do (haven't had the need to use the additions that the new versions offer) and i don't want to have to deal with setting up all the addons and plugins all over again. +Marcus I. Keil – I'm the same as Denis. I have 2016 installed but still use 2014 because a) 2014 is more reliable and b) it takes quite a while to install a newer version and then wait as each plug-in and script is updated to work in that new software (months). By the time that does happen, and Autodesk have released their usual Extension or Service Packs, and you're confident the new software will be reliable….. they bring out a newer version for you to install….. you can almost, never keep up. Fantastic series of training on what unwrapping uvws is about, why we do it and how to go about performing unwrapping uvws with the tools within 3ds Max. This is the best uvw unwrapping tutorial i have ever seen. Really I have watched too many tutorials and this is the simplest and best for me. Thank you. THANK YOU SO MUCH ! That helped a lot with my levelset project ! Amazing videos, I watched all 3 parts and now know how to use the unwrap function. I have a question, what if the texture map has patterns to it? From your video, although the texture are all scaled to the same proportion but the patterning breaks at the seams, how to fix that issue? maybe you should introduce the TexTools, because they are for free, easy to instal and they are commonly used. at least, introduce "smoothing by UVs". but nevertheless, one of the best tutorials about unwrapping i watched. i never seen video about how to put texture after UVW unwrapping:S could you show me one? probably, he meant creating texture based on rendered UVW template. Great set of tutorials, helped me a lot, thanks. Very well explained. This is very helpful. I hope you continue with unwrapp tutorials because the way you organize the content helps to understand everything perfectly. When you want to work with turbosmooth you have to add the unwrap after the turbosmooth because if you do it before you will get some stretching from the extra geometry. P.S. What would you like to see as a unwrap object ? Thank you for your help and for sharing! can you turn turbosmooth back on after you finish the unwrap? Really excellent tutorials (especially on the thing that caused me the most problem on 3D process). Thank you. Thank you for the very helpful tutorial, I've learned a lot! However I'm trying to unwrap a ship, a bulk carrier to be exact and I'm having a hard time doing so. Do you have any tips, or is there any chance you'll make a tutorial on how to unwrap a ship? Thanks in advance. Very proffesional made 3ds max tutorials. This is the best tutorial series so far about 3ds max uvw map techniques. Nice job on all three parts. Thank you! Thank you Thank You Thank You!! You Are A Real TEACHER! Hello Denis, I have a question. What if I unwrap GeoCube as you did in tutorial. And after that i want to use texture which looks like zebra skin or something like that (just texture with lines – it can be wood with pattern or even horizontal bricks, i think you know what i mean). It would look so weird in the seams, single parts wouldn't go same direction. How to deal with this? Is there some method for "seamless" UVW map or how to deal with it? 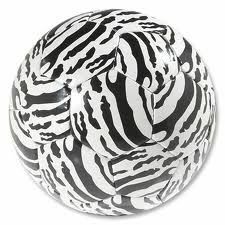 It don't have to be zebra, it can be wood texture, anything. man thank you so much for these videos. awesome!! thanks for this… simple and effective! Thank you!This course really helped me to solve my biggest problem in texturing. More than 3 years I could not understand how to use this modifier correctly. Tutorials on my native language were too complicated and useless. great tutorials! helped me a lot to understand the main issues that come along with uvw unwrapping. thanks!